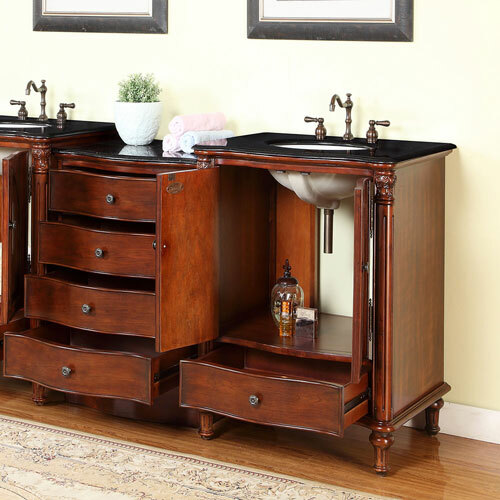 The 30" Claudius Single Bath Vanity makes a remarkable statement in any bathroom. 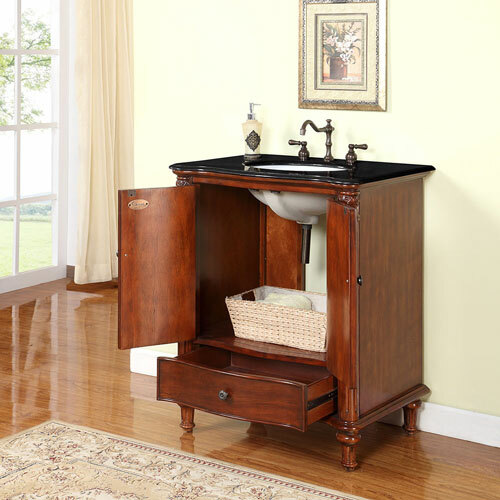 It features a gorgeously warm finished cabinet that offers a double-door cabinet and a storage drawer for storage space, all accented with Antique Brass hardware. 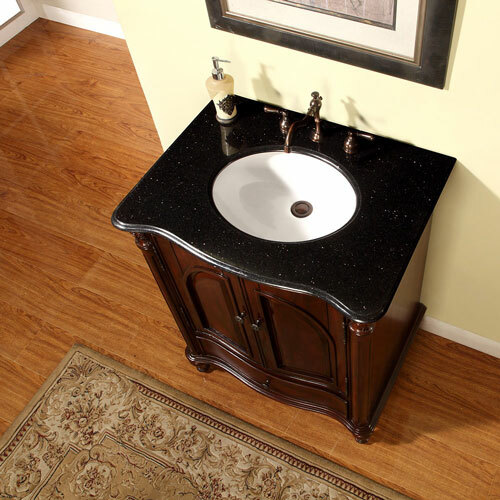 The top is made from Black Galaxy Granite and is matched with a white ceramic undermount sink. 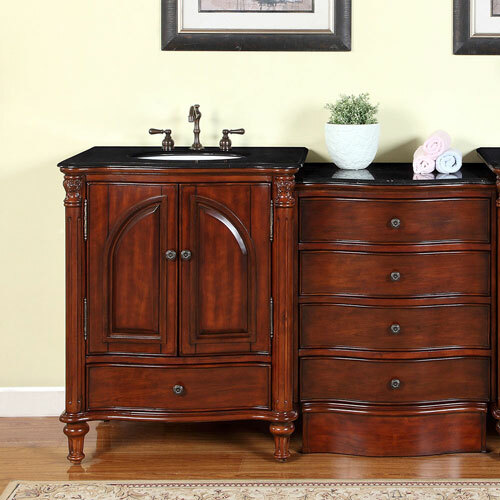 To make installing the Claudius an easy process, three faucet holes are pre-drilled on the top and a large cutout is made in the back.